In my last post I looked at how Donald Trump's visceral misogyny and disgusting fat-shaming could cost him the election. Along with his racism, his xenophobia, and his dangerous demagoguery. But what makes him such a monster is one character flaw that stands out above all the others. Will Donald Trump's Misogyny Be The Issue That Destroys Him? It was the final exchange in a 90-minute debate, but it may be the one that will destroy Donald Trump's chances of getting anywhere near the White House. For when Hillary Clinton brought up the story of the one-time Miss Universe Alicia Machado, and how Trump had treated her. And all he could say was "where did you find this, where did you find this?" It was a carefully laid trap. 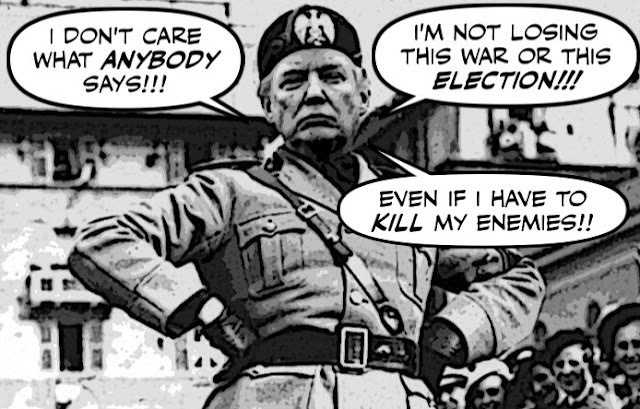 Although Donald Trump used to sleep with a copy of Hitler's speeches on his bedside table, I've tried to avoid comparing him to the Nazi dictator. 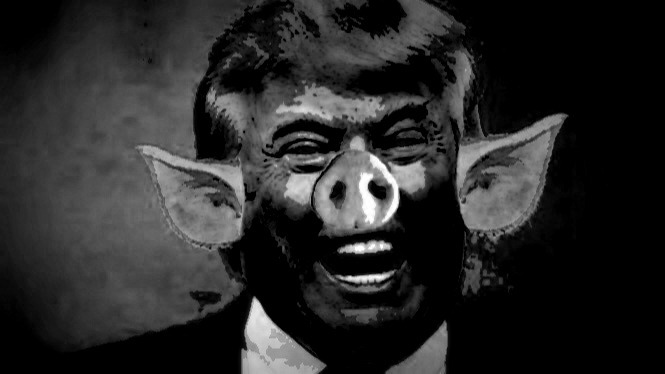 For whatever he is Trump isn't Hitler, and to suggest he is only insults that murderous maniac's many victims. But after reading a review of a new book about Hitler's rise to power, I must admit I might have to reconsider that position. I'm glad to see that another poll is suggesting that most Americans believe Hillary Clinton beat Donald Trump in their first debate. A new Reuters/Ipsos poll finds that a majority of Americans believe Hillary Clinton won the first presidential debate on Monday. The poll found that, out of 2,000 responders, 56 percent thought the Democratic nominee won the debate, as opposed to 26 percent who said the same about Republican Donald Trump. 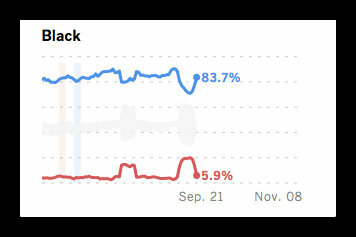 But while Clinton did perform well, and did at the very least halt Trump's momentum..
She did make one very big mistake. As if the Con leadership race wasn't bizarre or pathetic enough. With Kellie Leitch trying to stir up hatred against refugees and immigrants. 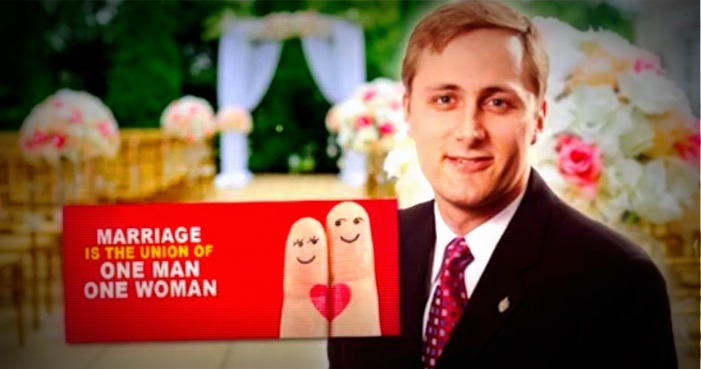 And Brad Trost trying to stir up hatred against gay Canadians. Now another Con fanatic is joining the race. 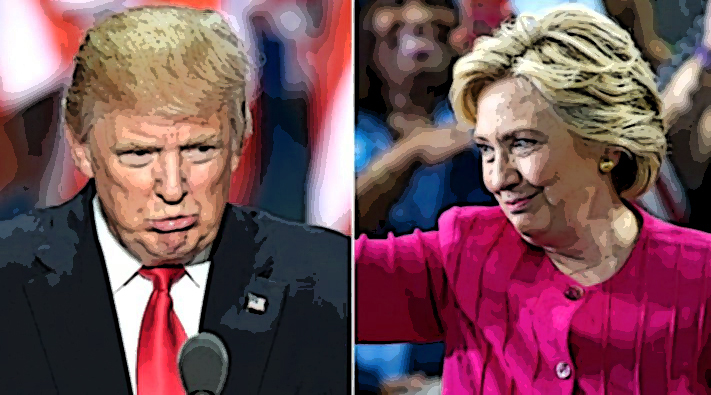 Anyone who watched the Donald Trump Hillary Clinton debate knows who won. And it wasn't the Annoying Orange. But don't tell that to the bloated demagogue, because he simply can't accept reality. 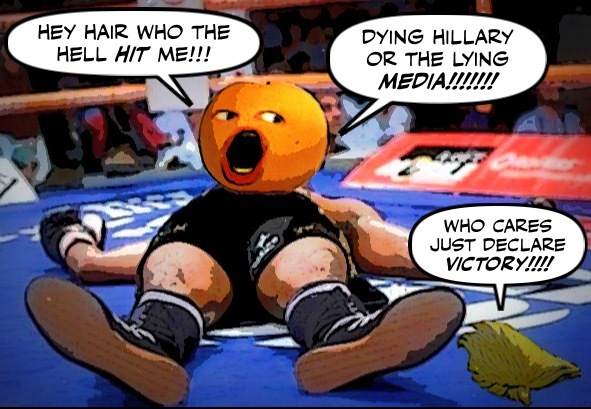 And spent the day after his humiliating defeat claiming victory. 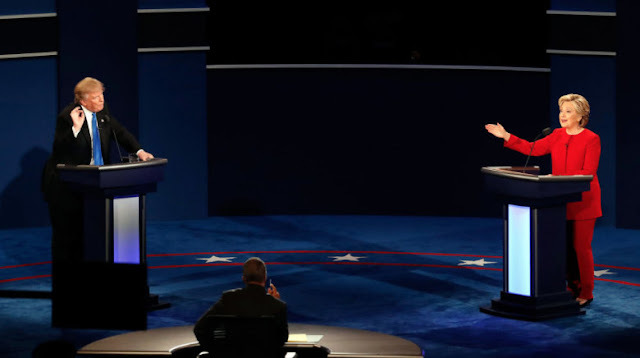 I must admit I was a bit worried, deeply concerned, a nervous wreck before last night's debate between Donald Trump and Hillary Clinton. The bloated demagogue has been enjoying some momentum. 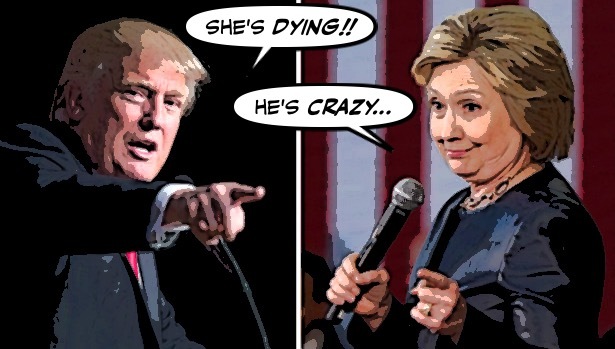 Polls suggest the race is now a dead heat. And with just six weeks to go before the election, it was a critical moment. But it turns out I shouldn't have worried, because Clinton left Trump looking like a big baby. I wasn't planning to write another post about Kellie Leitch for a while, because I feel I've written enough about her to last me a lifetime. 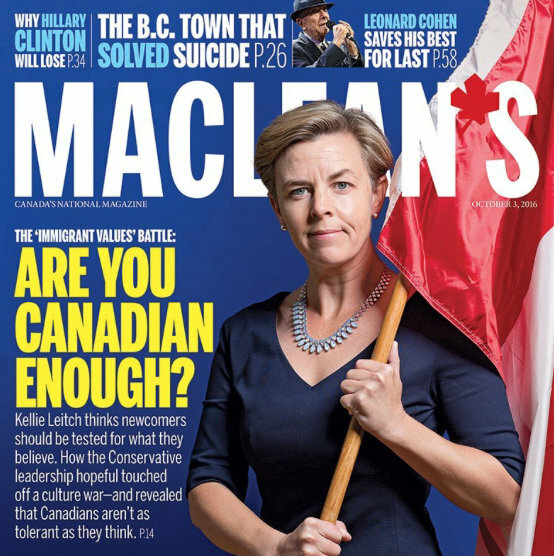 But then I saw the cover of the latest issue of Macleans and I changed my mind. Because although that picture is absolutely ridiculous, and has people howling with laughter all over the country. And wondering where did she get that flag pole from? The ghastly show is finally over. 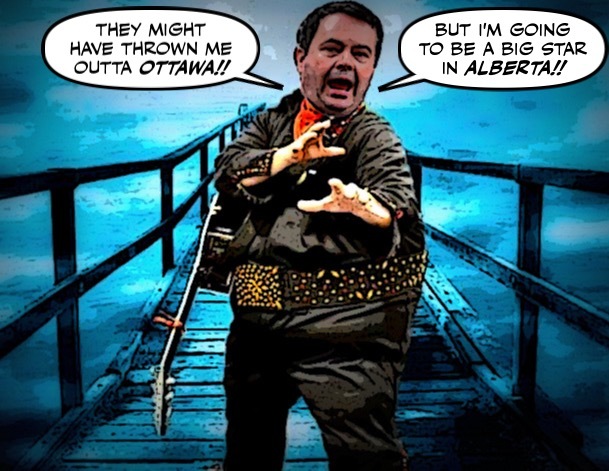 After a shabby twenty year run on Parliament Hill Jason Kenney has packed up his harp, and finally left the building. But not before one last tawdry song. Jason Kenney delivered a rousing and emotional farewell speech in the House of Commons on Thursday after nearly 20 years as a member of Parliament. He struck a non-partisan tone and urged his colleagues to embrace their role as legislators, not simply as foot soldiers of a political party, and to relish their time in the hallowed halls of Centre Block — "the temple of our democracy," as he described it. Which couldn't have been more phony or absurd. 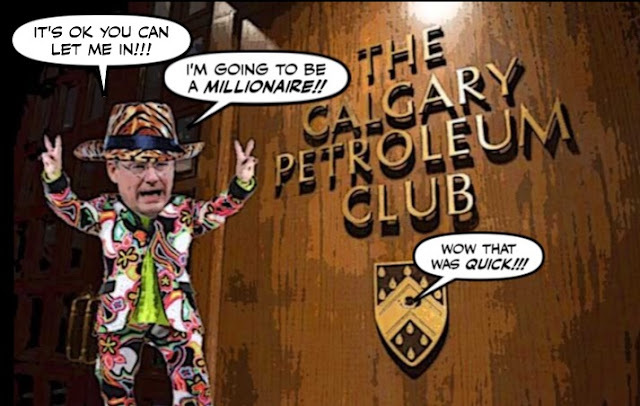 Kenney the ultimate rabid partisan preaching non partisanship in the "temple of democracy" he desecrated over and over again. I'm really looking forward to this weekend. 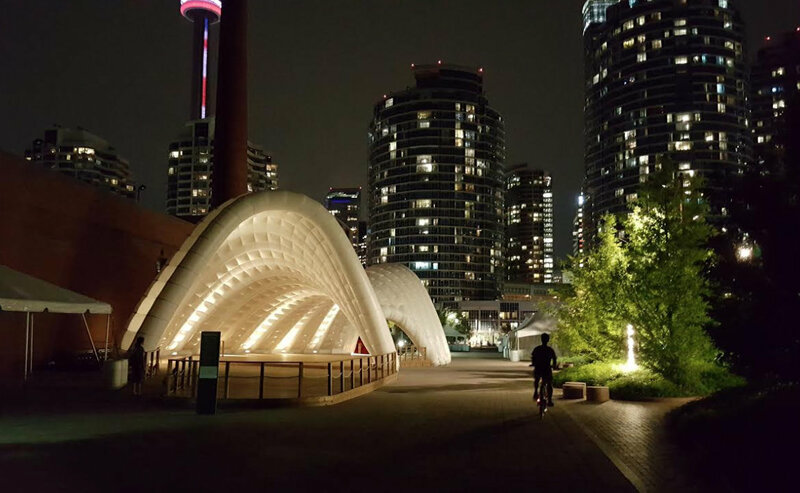 It's going to be warm and sunny, and perfect for biking, or sailing. And on Sunday, in this park in my neighbourhood, there is going to be a big book fair with lots of authors and artists. 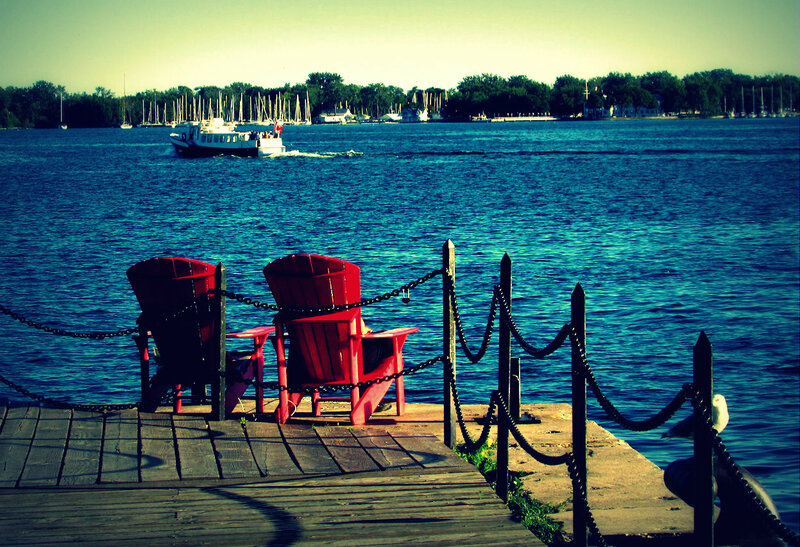 So it couldn't be better, or more lovely Canada. 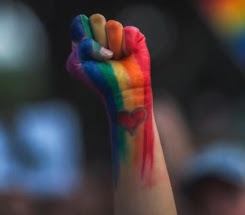 But I can't forget what's happening to so many people in this nightmare place. And ever since I found out that Chris Alexander and Kellie Leitch will be reuniting. I can't help wondering what might have happened to some of the Syrian refugees now living in this peaceful country if the Cons had been re-elected? Let it never be said that Ted Cruz holds a grudge for long. Or that he will let anything get in the way of his feverish desire to be President. Not even what's left of his dignity, his father's good name, or his wife's honour. 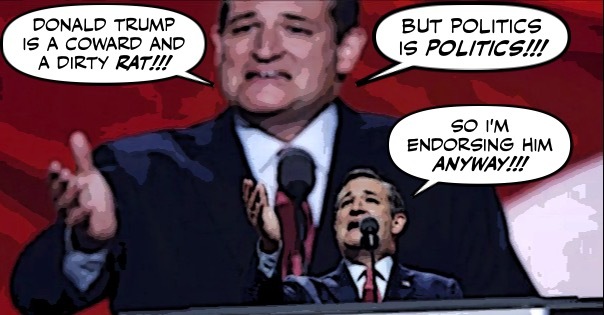 Big Ted has rolled over like a lap dog and endorsed him anyway. The other day I wrote about how Kellie Leitch's "Anti-Canadian Values" campaign had brought back memories of the Chris and Kellie show. 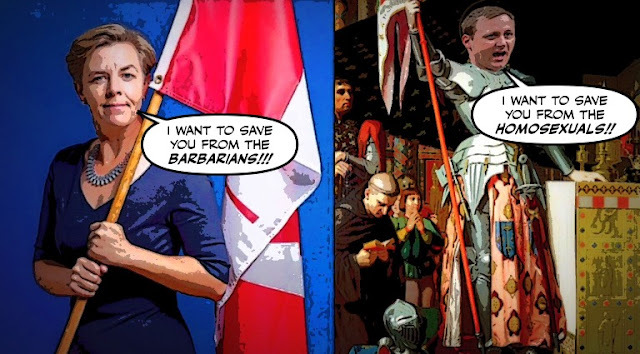 The barbaric Con production where Leitch and Chris Alexander demonized Muslims, and invited Canadians to snitch on their neighbours. And it was such an ugly memory, I remember thinking thank goodness that show was cancelled, and that those two will never be together again. But sadly I was wrong. Because it seems that the Chris and Kellie show is on again. 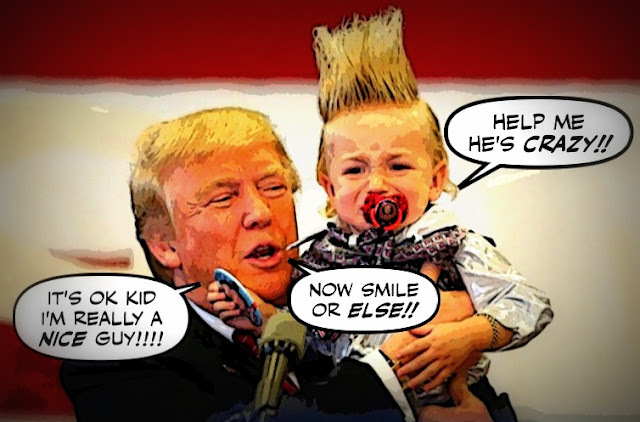 As a Canadian I have always found it hard to understand how Donald Trump has managed to fool so many Americans into believing that he is more than just a grubby Con man. Its always seemed so obvious to me. I mean look at him. What else could he be? But now at last that may be changing. The media in that country has finally started to take a closer look at Trump, his Empire, and his campaign. And revealing him to be a shameless hustler Con man clown. As we all know Bernie Sanders was treated unfairly by Hillary Clinton and the Democratic Party establishment. And he has every right to be bitter. But with the shadow of the fascist Trump looming over America. 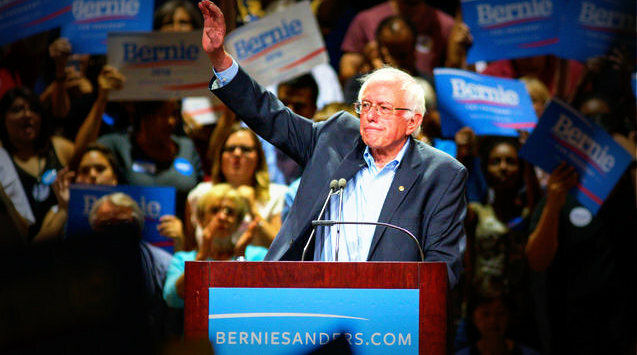 Bernie is hitting the campaign trail and urging his supporters to vote for Hillary. 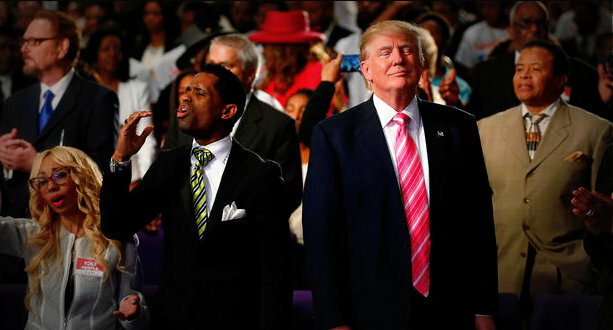 As you may know Donald Trump has been trying to reach out to to African American voters, by visiting black churches and asking one wacko preacher after the other to bless him. And his visit to a black church in Cleveland yesterday can only drive that support down further. Because it began weirdly, and ended disastrously. It still feels like summer in the place where I live, but fall officially arrives tomorrow. So I have been spending as much time as I can soaking up every precious ray of sunshine. And I am finding it very hard to get excited about the return of Parliament. For just one quick glance at Question Period was enough to send shivers down my back. 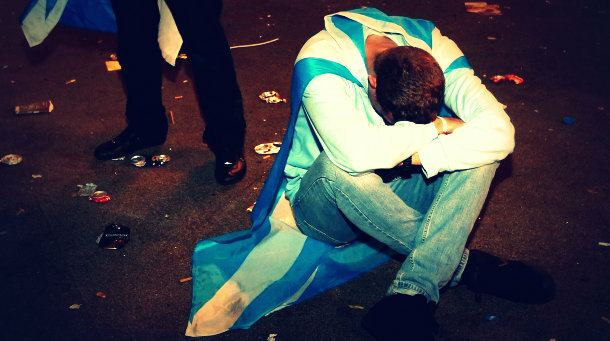 Last Sunday was the second anniversary of Scotland's independence referendum, which as you may know, was for me a day of great disappointment. And one I'll always remember. 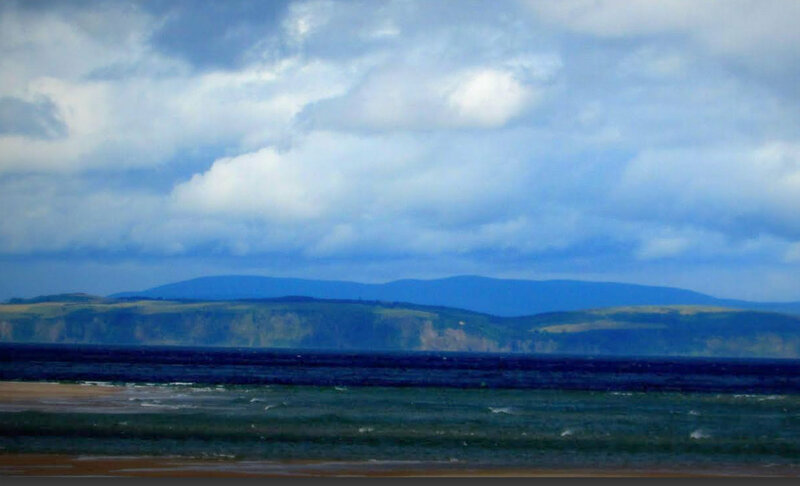 But I haven't dared even mention the anniversary when talking to my family in the Scottish highlands, because for them it's a day best forgotten. They don't want to talk about it. It's too traumatic. And they all voted NO. They say an apple never falls far from the tree. Especially if it's rotten to the core. 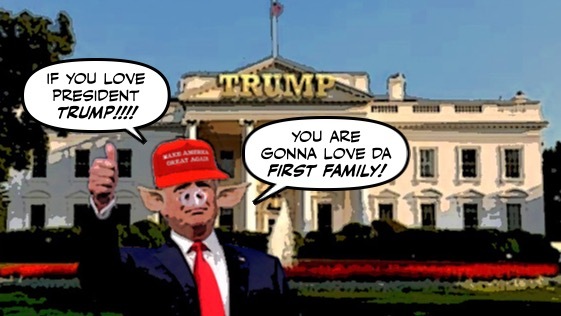 And in the case of Donald Trumps's family, the would be first family of America, that couldn't be more true. For this is what his ghastly spawn Donald Trump Jr. tweeted last night. As you may have heard, Stephen Harper is finally gainfully employed again, after getting paid to do nothing for so long. And although he hasn't yet asked Big Oil for a job, he's clearly got plans to become a very rich man. For not only does he have his own consulting business, he has joined Dentons the world's largest law firm. Which as you can see has made him very, very, happy. As we know Donald Trump is always attacking the media, and going after reporters who criticize him, or don't flatter his bloated ego. Blasting away at them on his deranged Twitter account, in an obvious attempt to intimidate them. He has vowed that if he becomes President he will change the law to make it easier to sue them for libel. And this weekend his tiny fingers have been typing away furiously, threatening the New York Times. 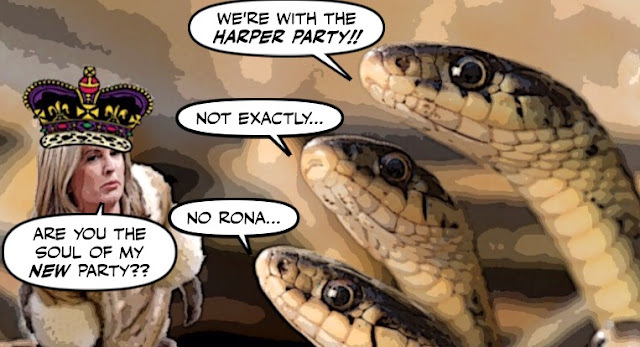 It seems I might have been a bit too hasty when I labelled the Harper Party, the Trump Party. 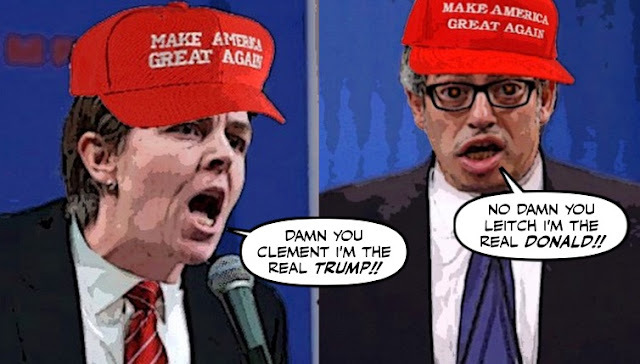 And I'm sure both those losers will eventually succeed in labelling it the Trump Party in the eyes of most Canadians. It's important to remember that the Harper Party has always been, and still is, Canada's Homophobic Party. I knew Donald Trump was growing increasingly desperate, like Benito Mussolini himself. Before he expired from a bad case of lead poisoning, and was hung up to dry. For it couldn't have been easy having to kill his own campaign. But who knew that dirty old man is now so afraid of being humiliated by Hillary Clinton. In my last post I predicted that Donald Trump's so-called birther campaign would do him enormous damage. By finally exposing him as a dirty old crackpot. But now I'm sure it will destroy him. 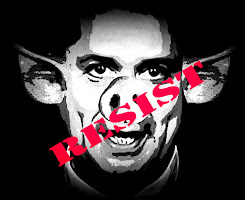 He has been trying to soften his image, and portray himself as a reasonable man. A man who loves children and black people, not a deranged demagogue. 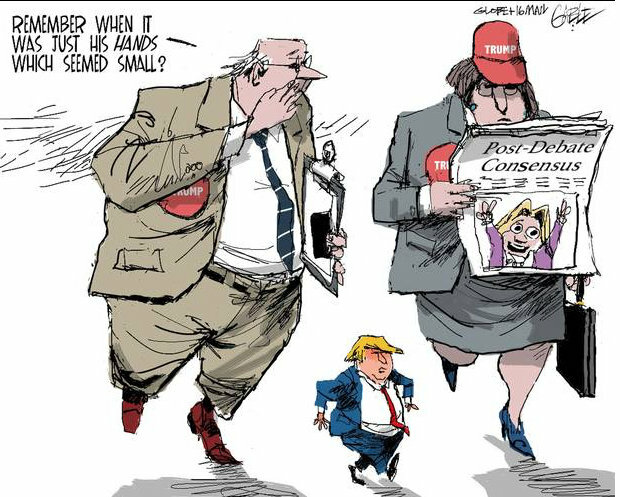 And it has boosted his polls. 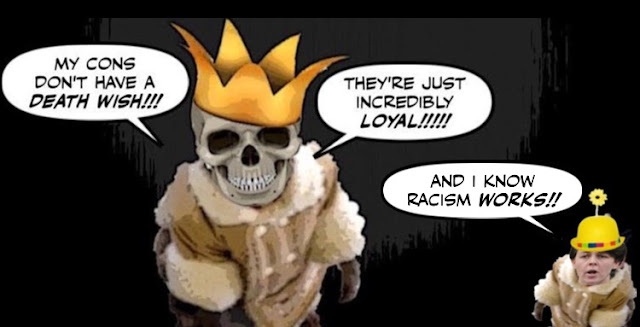 But sadly for Donald Trump, he can only be reasonable for so long, before the voices in his head start screaming, and he reveals his inner racism. 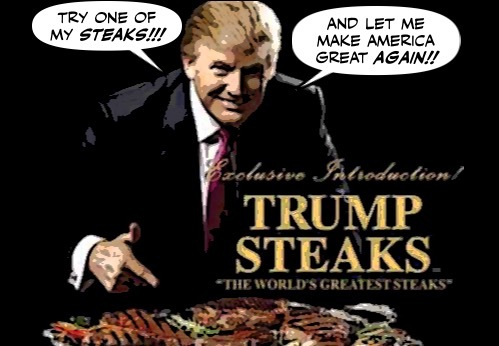 And now, just as he was doing so well, he may have stuck a fork in his own campaign. 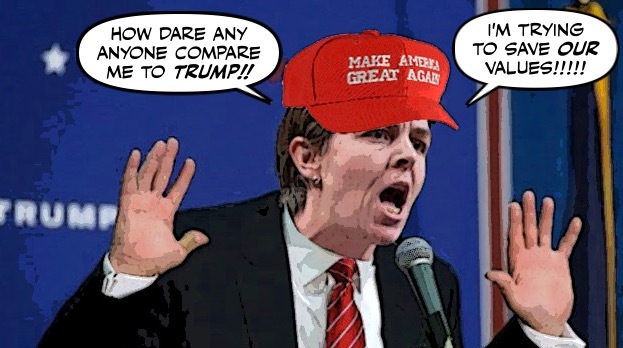 I know it's hard to believe, but Kellie Leitch is still insisting she's not trying to be Canada's Donald Trump. Even though she's not fooling anyone. For that one could have flown like a bat out of the cavernous orifice of the Angry Orange himself. And to make matters worse this Trumperisation is spreading. 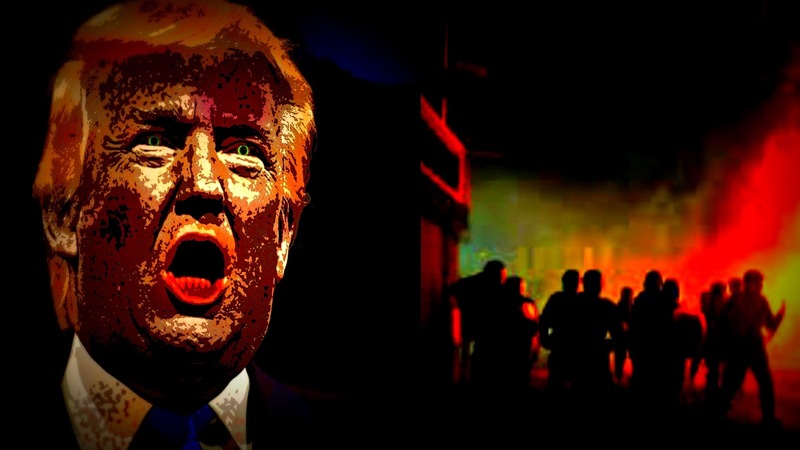 I've been warning for a long time that the monstrous demagogue Donald Trump could end up setting his own country on fire. 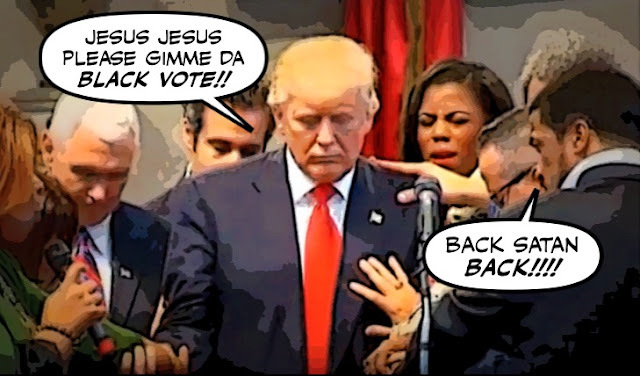 Whether he wins or when he loses. And sure enough while Trump complains about Hillary Clinton calling some of his supporters a "basket of deplorables." I'm sure Kellie Leitch was desperately delighted when her campaign manager, the Prince of Darkness Nick Kouvalis, suggested a way to boost her profile. And make her the Cinderella of the Con leadership campaign. By slipping on the slipper of bigotry again, and proposing to screen immigrants for "anti-Canadian values." But although it has raised Leitch's profile, it hasn't quite made her the Cinderella she was hoping to become. Labels: Con bigots, Con Leadership Race, cultural barbarism, Kellie Leitch, The Death of Con Canada. 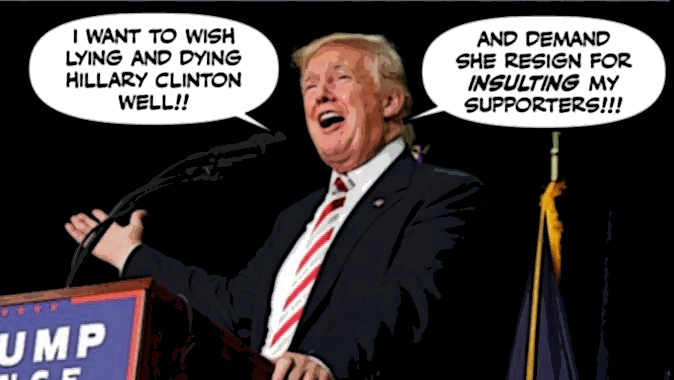 I don't know how Donald Trump has managed to restrain himself, and not gloat about Hillary Clinton's bout of pneumonia. It must be really difficult. Considering what he was tweeting just six days ago. And how hard he has been trying to portray her as "lying AND dying Hillary Clinton." I didn't think the U.S. presidential race could become even more nightmarish. But I was wrong. For on a day when that country was remembering its 911 dead, and vowing to stay strong. And less than sixty days before the election. 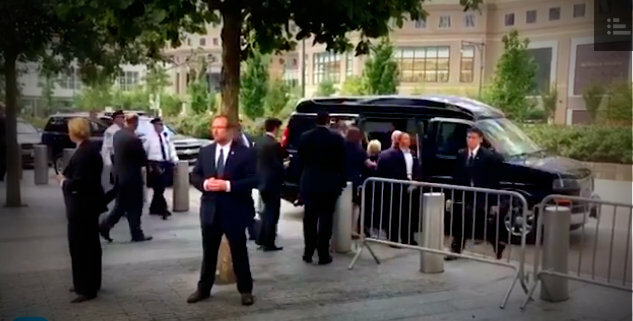 There was Hillary Clinton wobbling worrisomely and practically collapsing with pneumonia. 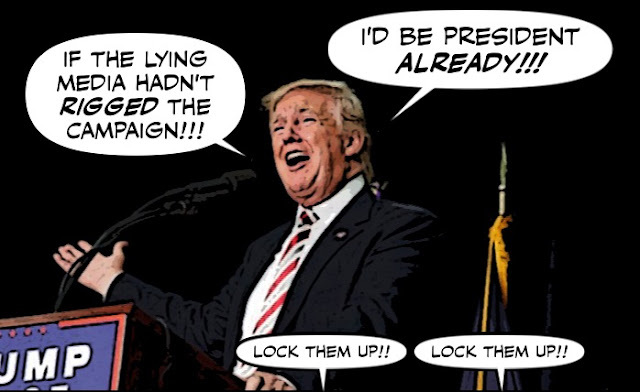 There are now less than sixty days to go before the U.S. presidential election, and with every passing day the campaign just seems to grow crazier and crazier. For what else can explain that Donald Trump can say something as deranged as this. But doesn't feel the need to apologize. 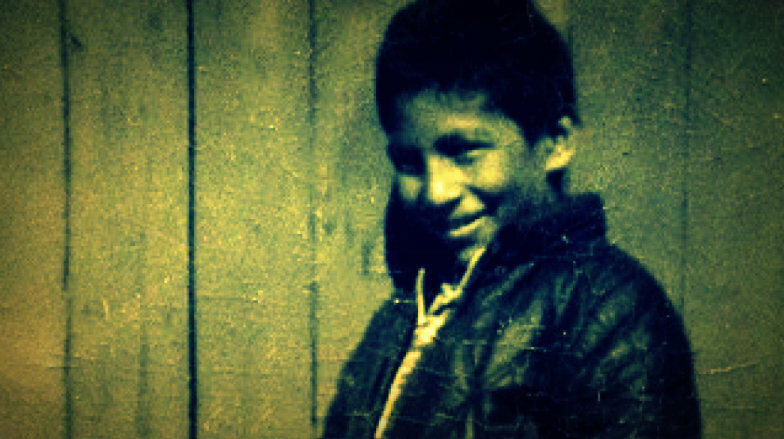 I never heard the story of Chanie Wenjack, an Ojibway boy who lived in Northern Ontario, until today. And although it made me feel terribly sad, I'm glad I did. Because it couldn't be a more Canadian story, or a more powerful story of resistance. Even if it ended so tragically. 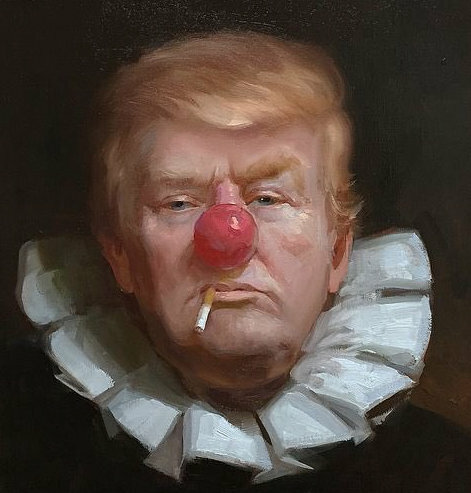 I always knew that the sleazy Con clown Donald Trump was spectacularly unfit to be the President of the United States. How could he not be when he's a crass demagogue, a bigot, a misogynist, a rabid climate change denier, and an abysmally ignorant Con man who makes it up as he goes along? 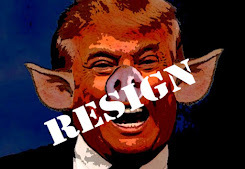 But it wasn't until I watched him perform at NBC's Comander-in-Chief Forum the other night, that I finally realized how dangerous he could be if he ever occupied the White House. 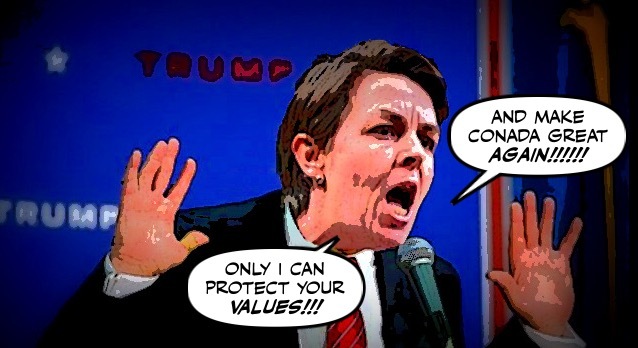 But it seems Kellie Leitch is determined to become Canada's Donald Trump. For although her dog-whistle plan to screen immigrants for "anti-Canadian values" has been roundly condemned. 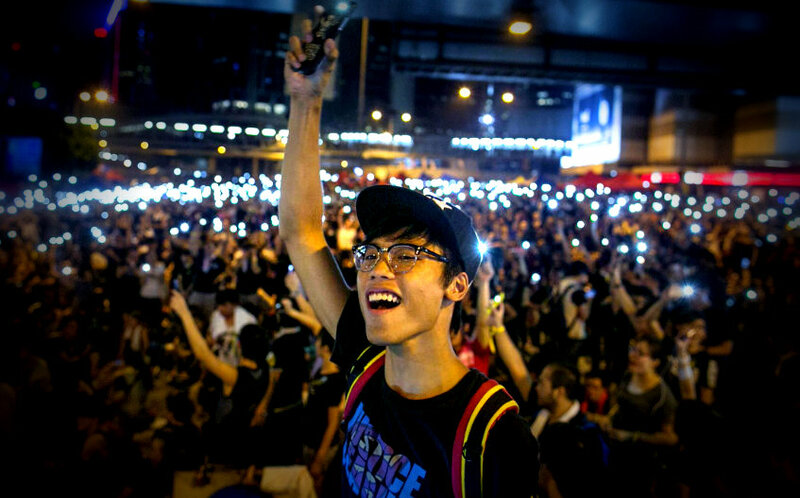 Two years ago I was incredibly moved by the sight of thousands of young students in Hong Kong, lighting up the sky with their cell phones. And demanding more freedom from their stern rulers in Beijing. In a pro-democracy movement that was known as the Umbrella Revolution. 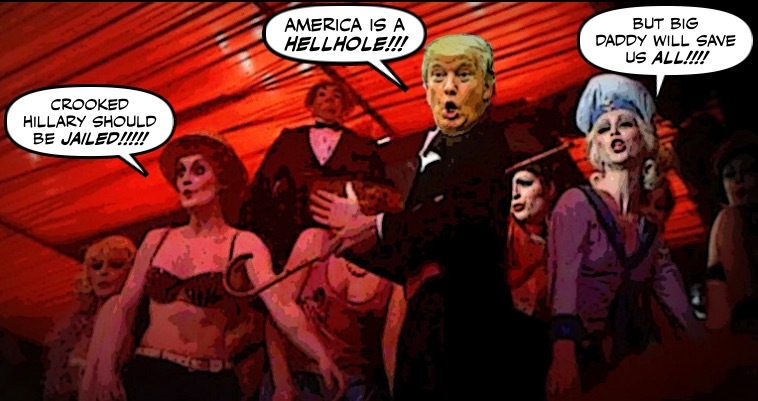 The more I watch the Donald Trump show, the more it reminds me of the movie Cabaret, before the Nazis took over. Because by now it's beyond crazy even by the standards of America. And this seems to me to be madness. For although Hillary Clinton must share some of the blame, for spending the entire month of August fundraising, instead of campaigning. So must many in the U.S. media. Will the Con Leadership Race Help Destroy the Harper Party? Yesterday I ran a Michael Harris column that looked at the Cons apparent death wish. And how they seemed unable to escape the deathly legacy of Stephen Harper. And I also wondered how Rona Ambrose's decision to criticize Kellie Leitch for her demagogic proposal to screen immigrants for "anti-Canadian values,"would affect Ambrose's leadership. And her ability to hold her party together. 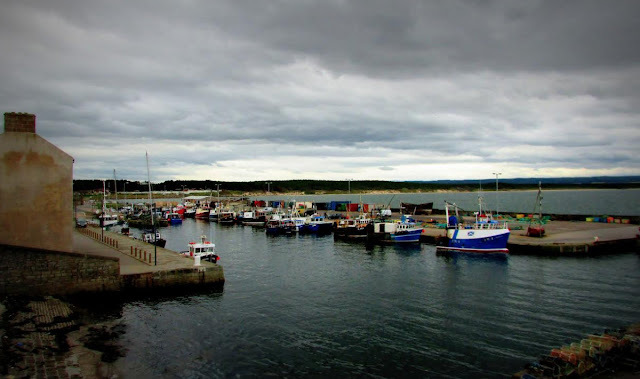 I grew up by the sea. 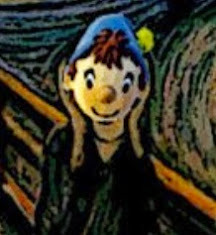 I learned to read its many moods. I learned when it was safe to swim in it or sail on it, and when it was dangerous. I knew the toll it took on those who set out in small boats to harvest its bounty. But these days you don't have to live by the sea to know it's angry. When Rona Ambrose was named interim leader of the Cons, I predicted that the hissing ghosts of the Harper Party would come back to haunt her. And turn her job into a nightmare. And sure enough now they have. With Kellie Leitch dredging up the corpse of her infamous cultural barbarism campaign. When I saw Donald Trump in a Detroit church, trying to appeal to African-American voters by posing as a religious person. And swaying awkwardly from side to side to the strains of the song "What a Mighty God We Serve." I must admit that I laughed so long and so loudly I was practically transported myself. But of course it wasn't really funny, it was the act of a desperate Con man. It's hard to believe that it's been a year since since the body of three-year-old Alan Kurdi washed up on a Turkish beach. For it seems so much longer. But although the passage of time has dulled the impact of that horrible tragedy. What we must never forget is how that poor little toddler awakened the conscience of Canada, and helped bring down the Con regime. 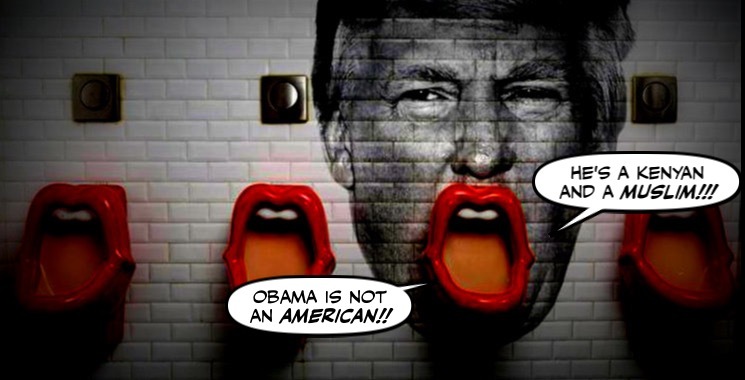 Donald Trump is always declaring war on something or somebody, so he can look bigger in one of his many mirrors, or in the eyes of the mob. One day it's Mexico, the next day it's lying' Hillary Clinton, or the media, or anyone who dares criticize him. So it's sometimes hard to remember his most dangerous war. His insane war on the planet itself. 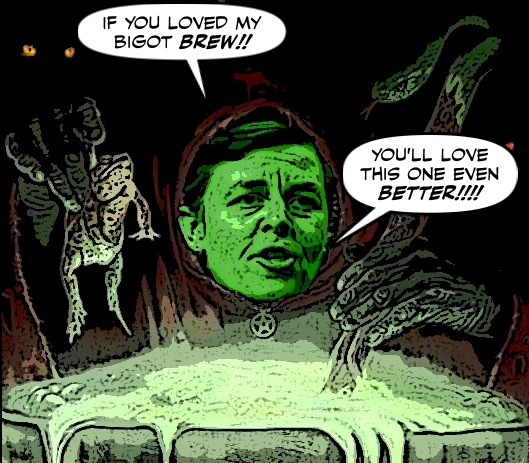 In my last post I looked at how Kellie Leitch was discovered discreetly cooking up a new/nouveau batch of her foul cultural barbarism brew. By stirring up the idea that immigrants and refugees should be screened for "anti-Canadian values." 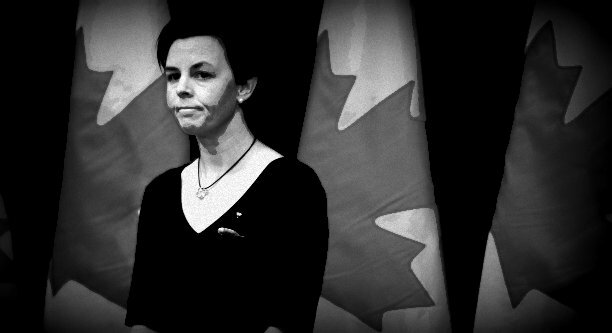 Even though Leitch wouldn't know a Canadian value if it flew up like a bat and bit her on the nose. But if you thought she was sorry for having been caught in the act of trying to bubble up bigotry again, and might blubber like she did a few months ago. One might be excused for believing that Kellie Leitch would have learned her lesson. She herself wanted us to believe that she was sorry for her foul cultural barbarism campaign, and her infamous snitch line. "I've had a lot of time to think about this since the campaign took place and if I could go back in time, which I can't, I would change things," Leitch said. "I would not have made that announcement that day. But sadly it seems that old habits die hard. 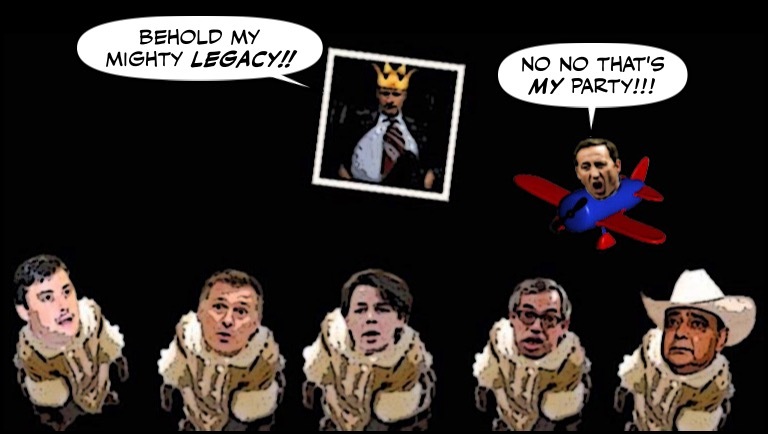 Yesterday I tried illustrate the effect Stephen Harper's foul legacy was having on the Con leadership race. With the most mediocre candidates that party and this country has ever seen shuffling around or buzzing around, seeking to replace him. And I wrote that I didn't think it could get any worse. 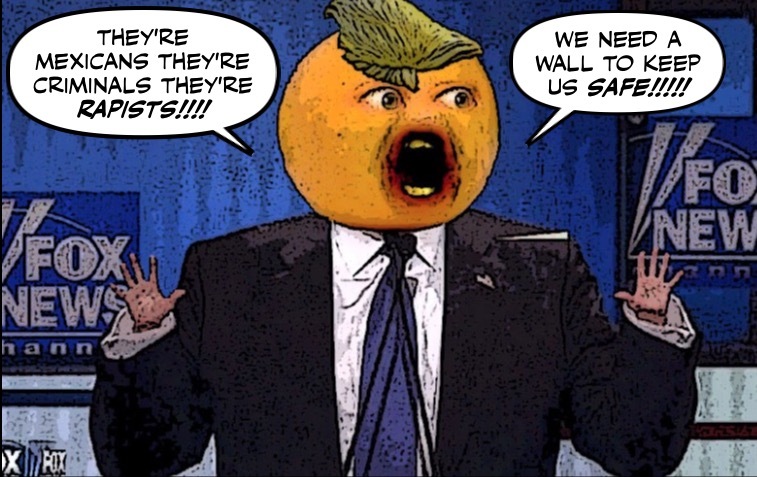 He launched his campaign like an angry orange Hitler on steroids, by calling Mexicans drug dealers and rapists, vowing to immediately deport 11 million undocumented immigrants. 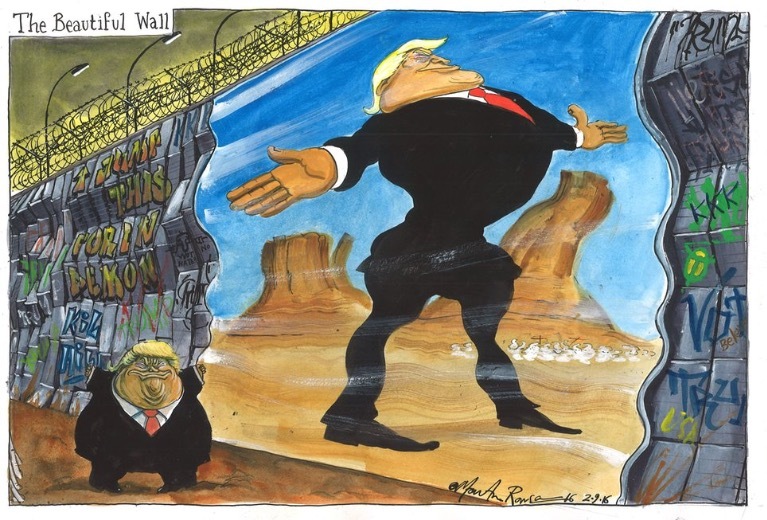 Build a great wall along the southern border, and make Mexico pay for it. 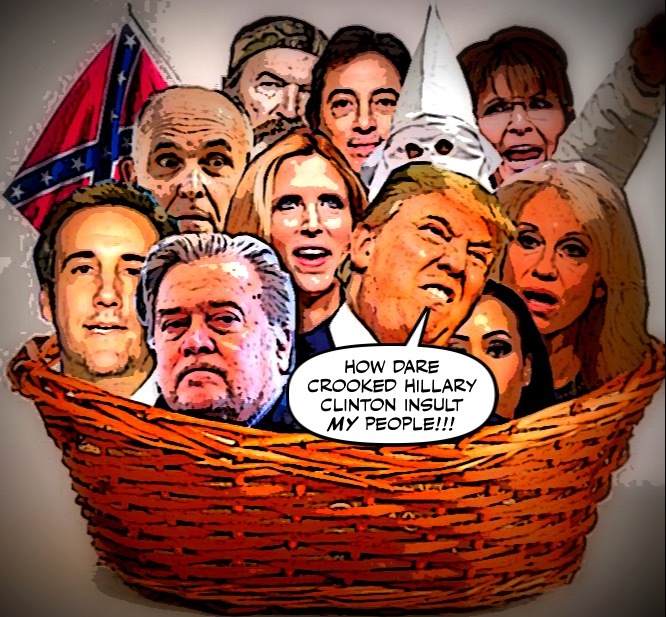 But when Donald Trump realized he was alienating moderate Republicans and his polls were starting to resemble a rapidly deflating piñata, he decided he should moderate his image.